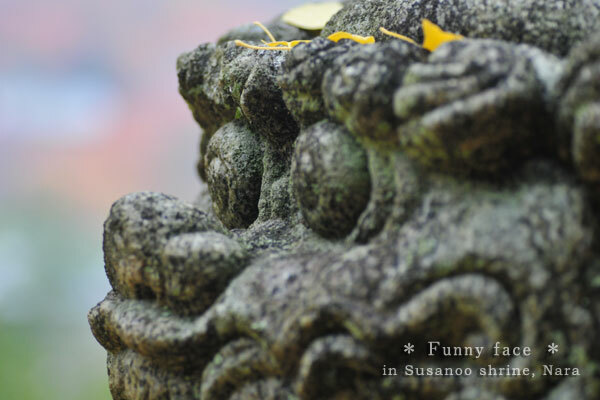 A shrine dog of Susanoo Shrine in Hase. Miki, the photographer seems to find the dog’s face pretty adorable. He is partially covered by gingko’s leaves as there is a massive gingko tree near by.